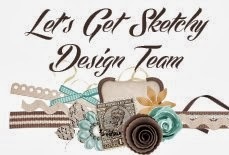 Part-Time Pretties: ScrapFIT Color Inspiration Blog Hop AND giveaway!!! ScrapFIT Color Inspiration Blog Hop AND giveaway!!! 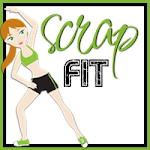 Welcome to the ScrapFIT Color Inspiration Blog Hop and workout! You should have arrived here from Missy’s blog. If you’ve gotten lost somewhere along the way, begin HERE at the ScrapFIT blog. I loved using some of the little wooden shapes from Close to My Heart to make the "leaves" and the "trunk" of the tree. And I loved using some of my favorite scraps from Sassafras Lass and The Girls' Paperie. I used some stiffened burlap scraps to die cut my clouds out of, and then I stitched them on. thank you cards are the one kind of card I always seem to make and need. My life is filled with generous people who love to give to me---whether it is time, a shoulder, or an actual "thing", and I like to say thanks with a handmade card. In the interest of saying "Thanks", I'd like to offer up some prizes for being part of the hop...I will be offering a prize for new followers, and one for current followers as well! If you become a new follower of Part-Time Pretties (and tell me you are a new follower in the comments), I will enter your name for a prize! If you are already a follower, leave me a comment and I will enter you for a separate prize drawing. Whether you are "new" or "old", if you share my giveaway on your blog, leave me another comment saying so, and you will earn an extra chance in the drawing. In my wildest dreams, I'd love to get to 100 followers! 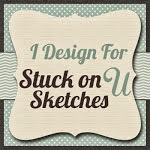 This drawing is open to local and international followers! As for prizes from me, I have put together some "mini-kits" from my own stash. Each will be valued at approximately $15. Each will include paper and other goodies. And maybe even an authentic part-time pretty flower made by me!!! I'm not gonna show pictures, but I think you will like what I've put together! OK, now on to the HOP. The word you are here to collect from me is PICTURE. What is the prize for hopping along with us? One lucky girl will win a $20 gift certificate to the Paper Issues store! You can hop until Monday, November 19th at 8pm. From here, you need to head over to our Creative Trainer Diana's blog, here, to get your next word! Such a sweet card! I love the clouds! I'm a new followerer ( is that a word????? LOL) Love your card. THis is such a great palette. This is adorable Sheila!! Love how you created the scene with the clouds and the cute little tree! Cute card!! Love your tree and the clouds! I love the addition of the button with the twine! Great card! I'm a new follower! i love your amazing Thank you card...i am in the process of making some too. i was so busy making sure that i was now following your blog, i had to backtrack for the word, and then found out you were giving away a surprise. Thanks for sharing your card. I am a new follower! I love your sweet little tree card! Love your card with the tree and clouds, very nice! hi! I am a new follower and I posted your giveaway on my blog:http://blsd2scrp.blogspot.com/2012/11/a-fun-hop-with-prizes.html thanks! I love those clouds, gorgeous. Beautiful card Shelia! I love the burlap clouds! I love your card. I love the textures.